Have you ever noticed how an increasing number of people have started experiencing back problems? Our lifestyle is the biggest reason for this – desk jobs, phones, laptops and sitting in front of the TV like a couch potato – all such factors contribute to back problems. Now, there are several ways that tell you how to straighten your back, but our article will focus primarily on stretches and yoga postures that will permanently help you rid of your back issues (if they’re caused due to your lifestyle). If you work at a desk job that requires you to sit on your uncomfortable chair for hours at an end, then this aasan is perfect for you. Not only does it help straighten your back and lengthen its muscles, but it also works on your shoulder and chest muscles as well. Sit down on a yoga mat, with your legs placed on top of each other as shown in the picture. Keep your back straight. Do not hunch. Raise your right arm and bring it behind your back. Take your left arm, take it backwards, and try and hold on to your right hand. If you’re unable to touch both hands in the first go, don’t worry. Simply stretch to your maximum limit. If need be, use a strap or band to cover the distance between your hands. Focus on the wall in front of you, and hold for 30-60 seconds. Perform at least 15 reps daily. Yes, this is that one pose you always get to see plastered all over Instagram. While being very esthetically appealing, the Tree Pose not only works on how to straighten your back, but also stretches your back muscles. Stand with your feet together, and back straight. Raise your hands upwards, stretching them to their maximum limit. Fold your arms to do a Namaste. Slowly raise your left leg and let the sole of your left foot touch your inner right thigh. Hold this pose for 20-60 seconds (as much as you can in the first go). Perform at least 20 reps. 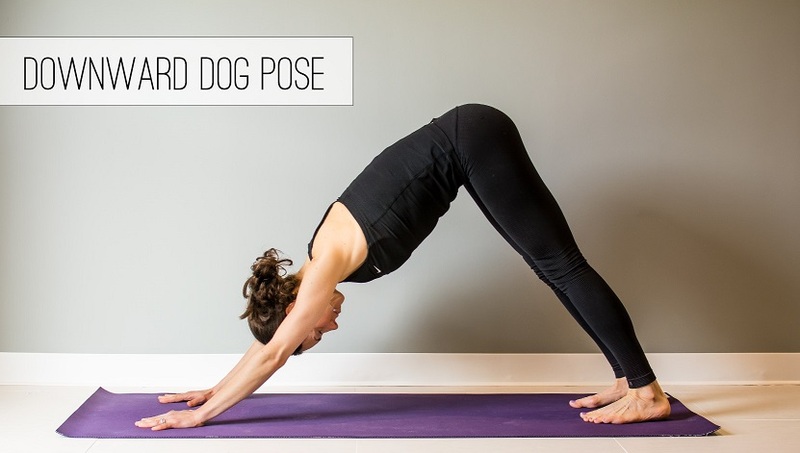 If you know even a little bit about yoga, then you’re already familiar with the Downward Dog pose. Not only is it simple to perform, but it rejuvenates your entire body (and not just your back). Stand with your feet a little further apart than your shoulder distance. With your hands raised up, slowly bend down. Let the palm of your hands touch your mat, so that your body forms a V shape. Remain in this position for 30 seconds and then slowly go up. Repeat at least 20-30 reps daily. 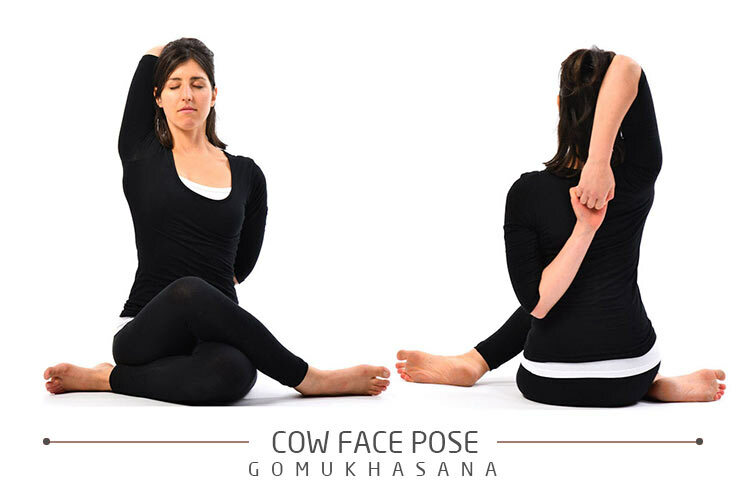 There are many variations of the Tadaasan pose, with the simplest being standing with an erect spine. All variations, however, focus on how to straighten your back, improving your posture as well as correcting your back’s alignment. For this reason, we’ve chosen a more complicated pose for you. Slowly, raise your hands upwards, with your palms facing the ceiling. Interlock your hands, and push towards the ceiling. Get on your toes, and then hold that position for as long as you can. Do at least 15 reps daily. This is yet another easy pose, which helps not only to straighten your back, but also lengthening the torso and getting rid of pain and stiffness that you may be experiencing. Sit on your fat with your feet extended outward. Slowly, breathe in and move forward. Extend your arms and touch your feet. Exhale. If touching your feet isn’t an option, then touch your ankles instead. Hold for 30 seconds, and perform at least 15 reps. While the Bhujangasana is definitely one of the best ways on how to straighten your back, it’s also the quickest way to immediately get rid of back pain caused due to muscular stress/over-workout. It also stretches your spin and works on your shoulder muscles as well. With both the palm of your hands besides your shoulders, gently lift your upper torso. Breathe in while doing so. Keep going up till your elbows have straightened. Hold your breath (and your position) for as long as you can. Come down slowly while exhaling. Do at least 30-35 reps daily. If you workout at a gym, then you have definitely seen people doing the plank (and its variations). Sometimes, the issue is not as much as with your back, but with your core – a weak core cannot correctly support your back. So in order to strengthen your core (while also working on your back) you need to do the plank pose. Lie on your stomach with your face down and feet together. Raise your lower body slightly, and make sure only your toes are touching the mat. Put your elbows on the side of your shoulders, parallel to the ground. Let your hands support your body weight as you lift your upper body. Keep your body straight – your spine shouldn’t be curved when in this position. Hold for 20 seconds, and slowly come down. If you feel this is too much of a workout for you, then simply do the exercise, but instead of your toes, rest your lower body on your knees.